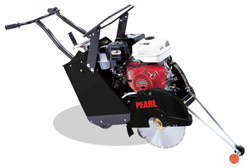 20" Pearl® Gas Pow. Self-Prop. Concrete Saw with Honda GX390 Cyclone Eng.